Bring your coffee with you on your next outdoor adventure with the 30 oz JavaDrip from GSI Outdoors. This JavaDrip features a double-walled, insulated lid and insulating EVA sleeve hold in temperature while brewing and serving. The drip cone collapses to fit inside its own stuff sack and nests within carafe for compact packing and storage. Bring your coffee with you on your next outdoor adventure with the 30 oz JavaDrip from GSI Outdoors . This JavaDrip features a double-walled, insulated lid and insulating EVA sleeve hold in temperature while brewing and serving. The drip cone collapses to fit inside its own stuff sack and nests within carafe for compact packing and storage. Double-walled, insulated lid and insulating EVA sleeve hold in temperature while brewing and serving. Silicone drip cone locks to lid while brewing and sits upright when removed to prevent accidental spills. Drip cone collapses to fit inside its own stuff sack and nests within carafe for compact packing and storage. 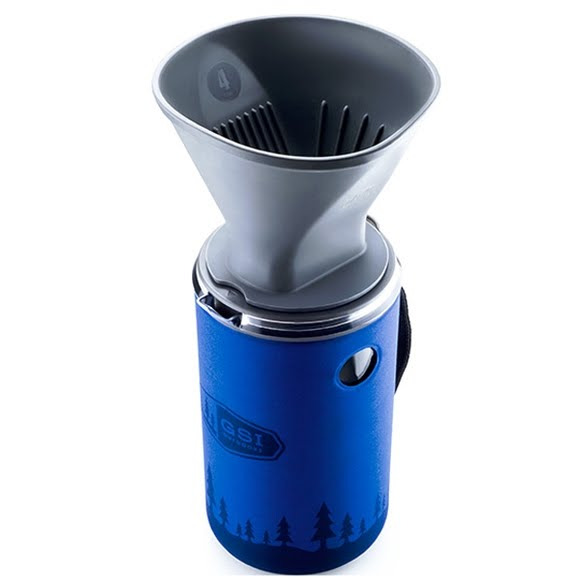 Drip cone includes easy-to-clean reusable cloth filter and is compatible with standard #4 paper filters. Dimensions (packed) 4.50" x 4.20" x 7.00"